More than 2000 years ago, China's imperial envoy Zhang Qian helped to establish the Silk Road, a network of trade routes that linked China to Central Asia and the Arab World. 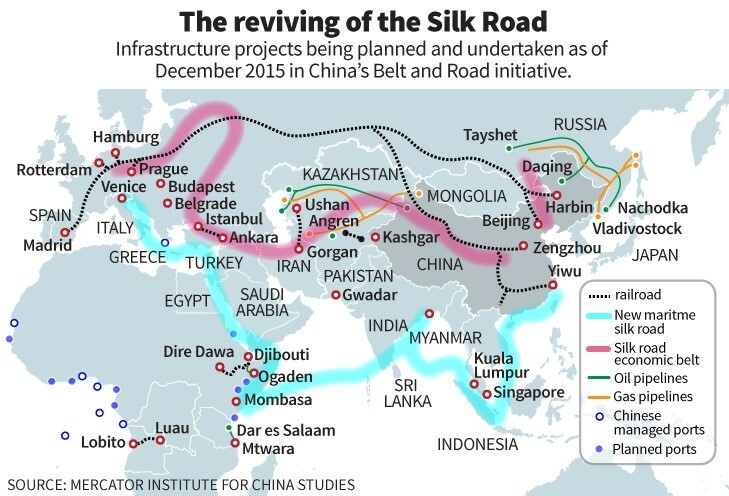 In 2013, Chinese President Xi Jinping set out the strategy of rebuilding the Silk Road Economic Belt and the 21st Century Maritime Silk Road knows as " Belt and Road" creating a network of railways, roads, pipelines, and utility grids that would link China and Central Asia, West Asia, and parts of South Asia. This initiative, comprises more than physical connections. It aims to create the world's largest platform for economic cooperation, including policy coordination, trade and financing collaboration, and social and cultural cooperation. The state council authorized an OBOR action plan 2015 with two main components: the Silk Road Economic Belt and the 21st Century Maritime Silk Road. The Silk Road Economic Belt is envisioned as three routes connecting China to Europe, the Persian Gulf, the Mediterranean, and the Indian Ocean. The 21st Century Maritime Silk Road is planned to create connections among regional waterways. 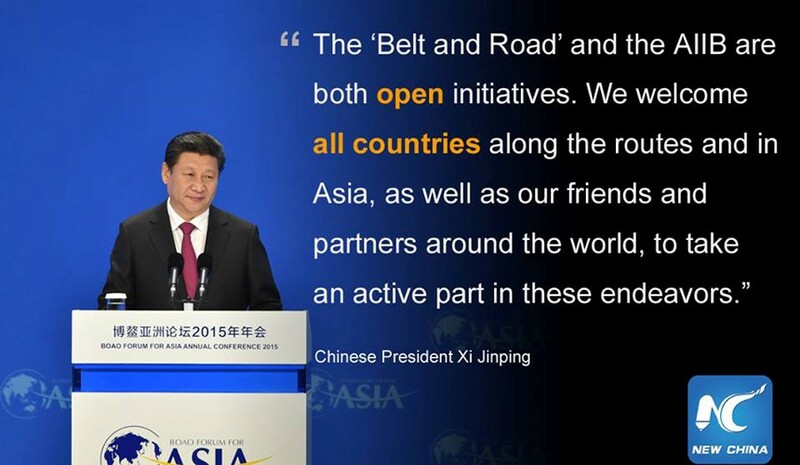 More than 65 countries expressed interest in participating in the OBOR action plan. During the Belt and Road Forum in May 2017, Chinese President Xi Jinping declared it successful with China signing deals to a total of 68 countries and international organizations to jointly develop infrastructure along the new Silk Road trade routes. These countries are for one third of the Global GDP according to Oxford Economics and 60% of the world's population which means the development of this project is directly benefiting 4.5 billion people. One of the major announcement from the BRF was Xi's pledge to further boost funding for the project. 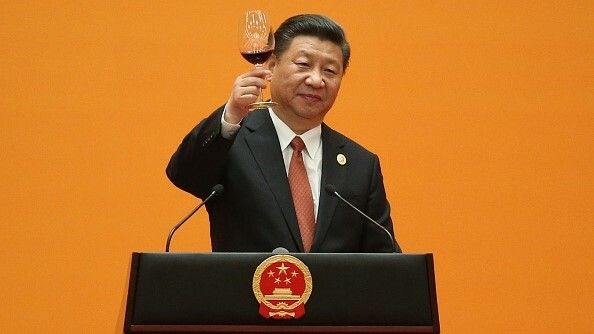 In his keynote, Xi promised China will funnel an additional RMB 100 billion ($14.5 billion) into the Silk Road fund, while the China Development Bank and Export-Import Bank will set up new lending schemes of RMB 250 billion ($36.2 billion) and RMB 130 billion ($18.8 billion), respectively, for Belt and Road projects. In addition, China will provide RMB 60 billion ($8.7 billion) for humanitarian efforts focused on food, housing, health care, and poverty alleviation. China and other Belt and Road countries in 2013-2016 has exceeded $3 trillion, and China's investment in these countries has surpassed $50 billion. China's "Belt and Road" project is also the largest overseas investment driver ever launched by a single country. 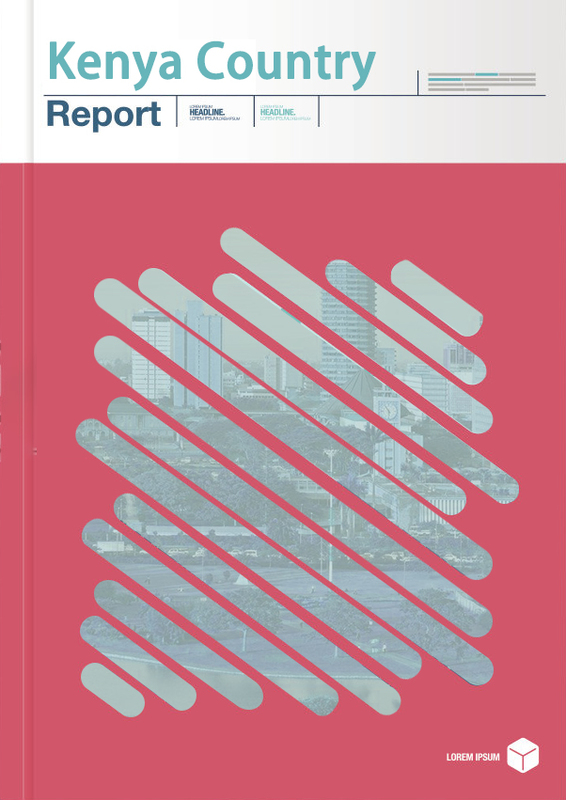 Copyright © 2015-2020 www.ChinaTradeWeek.com All Rights Reserved.